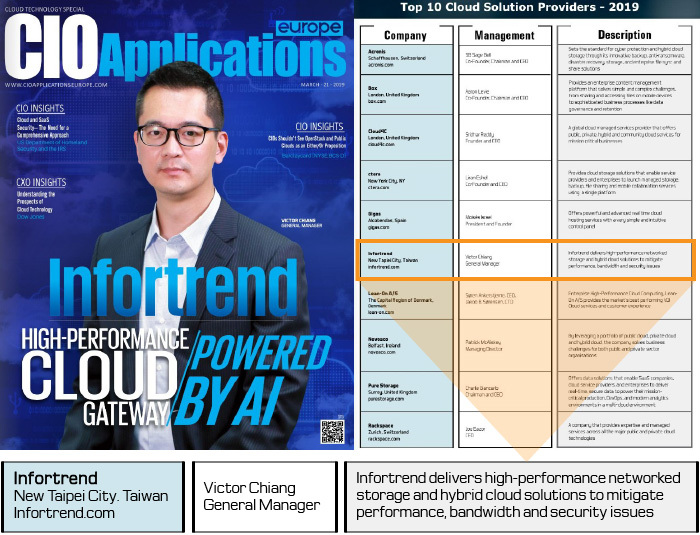 Infortrend® Technology, Inc. has been recognized as one of the Top 10 Cloud Solution Providers in 2019 by CIO Applications Europe Magazine. The selection is based on the credibility and the innovative Cloud solutions that Infortrend had been providing to the enterprise communities. CIO Applications Europe acknowledges that Infortrend is at the forefront of providing solutions for pressing problems of Cloud use and offers innovative platforms to address the predominant hurdles of many industries including government, education, finance, media and entertainment, surveillance, and healthcare. “We are glad to announce Infortrend as one among the Top 10 Cloud Solution Providers 2019. Infortrend is a leader in providing storage solution that empowers customers’ specific business requirements. We recognize Infortrend for its exemplary product lines NAS, SAN storage, unified storage, hybrid cloud, all-flash storage, and more,” said Joe Phillip, Managing Editor of CIO Applications Europe. For more than 25 years, Infortrend has provided high-performance and quality-assured storage systems worldwide with installed base of more than 600,000 units. Our brand was long recognized by Gartner Magic Quadrant in General-Purpose Disk Array since 2010. In addition, Infortrend storage's price-performance was ranked among the top in both SPC-1 and SPC-2 benchmarks by Storage Performance Council (SPC), an industry standards body focused on the storage industry. EonStor GSc Hybrid Cloud Appliance is our innovative solution designed to streamline Cloud deployment and access. 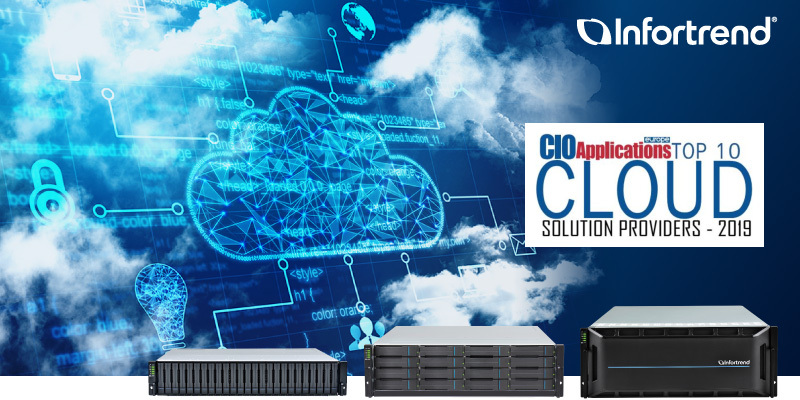 It allows enterprises to enjoy the full-benefit of cloud storage while addressing issues such as slow data access, incompatibility with existing IT environment, and security concerns.